Your feet deserve to have what they want, and so do you. Your feet want comfort and protection from wetness and injury. Meanwhile, you want durability so replacing your men's boots often and breaking the bank is a thing of the past. 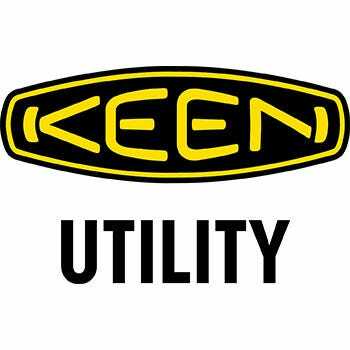 These KEEN Utility Men's Brown 1 ... (see full details) (see specifications) #1018663. Your feet deserve to have what they want, and so do you. Your feet want comfort and protection from wetness and injury. Meanwhile, you want durability so replacing your men's boots often and breaking the bank is a thing of the past. These KEEN Utility Men's Brown 1018663 Baltimore 6-Inch Waterproof Steel Toe Work Boots are what you and your feet deserve. If you want protection, look no further than these men's brown boots. They're made with left and right asymmetrical steel safety toe caps. The steel toes meet the requirements for the safety standards ASTM F2412-11 and F2413-11 I/75 C/75 EH. Essentially, the steel toes can keep you safe in the event of drop impact and compression. But the great thing about the steel toes is that they're made specifically to fit your left and right work boots. The asymmetrical toes allow for a roomier fit while keeping you protected. In addition to the steel toes, the KEEN waterproof boots are made with a 90-degree heel, which give you better balance afoot, especially when you are on a ledge or on a ladder rung. If you want more than just protection, these 6-inch Baltimore boots are a good pick for you. They're also well-made. The safety toe EH boots feature an upper crafted from leather and an outside made from rubber. The leather upper is super sleek and resistant to wear while the multi-directional lugged outsole is strong and matches the upper in hardiness. These medium-duty boots are perfect for a hard day’s work. We're sure you want more than just protection and quality in the design, so we're happy to tell you these men's steel toe boots are waterproof. The leather upper is entirely waterproof and creates an exterior that will not let any moisture inside. But what about interior moisture such as sweat? It won't be an issue. The utility boots are made with a moisture-wicking textile and KEEN.Dry waterproof, breathable membrane on the interior to keep sweat from soiling your socks. Plus, the men's footwear has Cleansport NXT technology to reduce odors and keep things under control. You may think it doesn't get much better than quality and protection from wetness and injury, but it does. These KEEN work boots are also comfortable, which is essential for waterproof footwear that's going to get you through a hard day's work. This pair is made with a removable polyurethane footbed that features a metatomical design. The design offers superior arch support while cradling the natural contours of your feet. In addition to the footbed, the brown abrasion-resistant boots are made with a thermoplastic polyurethane shank. The shank offers midfoot support and absorbs the shock that results from ground strike impact in order to keep your feet from becoming sore and exhausted. These KEEN Utility Men's Brown 1018663 Baltimore 6-Inch Waterproof Steel Toe Work Boots are about what you want and need. Order them here at Working Person’s Store today to get your feet what they want and need. I recently tried a pair of these Baltimore 6" boots from Keen, and absolutely vouch that this is a top notch product! I had these boots under water in a mechanical pump room, and my feet remained dry throughout and after. These boots run true to size, and are extremely comfortable for frequent climbing, walking, and standing. KEEN Utility Boots: Men's Brown 1018663 Baltimore 6 Inch Waterproof Steel Toe Work Boots is being added to your cart.